I would enjoy waking up to that bright sight every morning. hi! 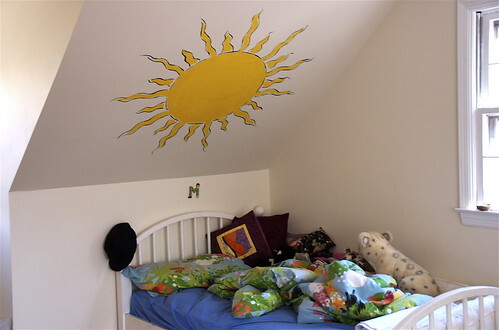 I just found your blog via bloesem kids and love your wall murals! I agree, that sun would brighten anyone’s day!